Black color with GOLDEN touch make the shoes design more attractive than normal with a very sophisticated sized heel. Open toed zipper style sandal having rubber sole, suede leather. This unique design will add meaning to your look. BLACK and GOLDEN shining strip with BLACK locking strip with buckle made this design a unique and lo.. This GOLDEN thick base sandal with twin-strips at top with buckle closing manufactured with PU mate.. 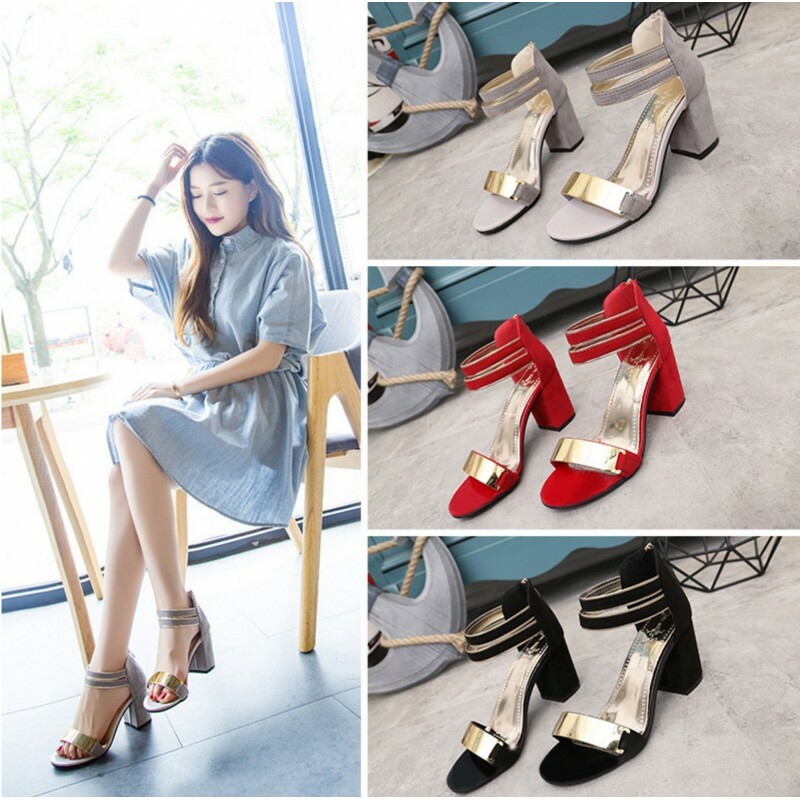 This stylish PURPLE colored are unique designed of its own kind is brought for lovely and always new..
Women BLACK high heel leather sandals are fashion brand, material was PU leather in the production a.. This stylish Black colored are unique designed of its own kind is brought for lovely and always new ..